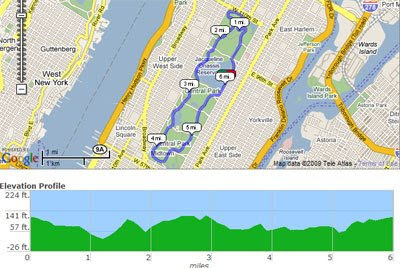 USA Track & Field have produced a Google Maps based database of America's running routes. The service allows runners to map and measure their favourite running routes and then save them to, what they say, is the largest searchable database of running routes in the country. Runners can search the database for routes in a particular city or narrow their search to find ones on a specific type of terrain. If you have your own favourite running routes you can visit America's Running Routes, map out your run, and the distance you ran will be displayed, including mile marks along the route and an elevation profile of the route. WhereWeRide provides a similar service to America's Running Routes only for mountain bike trails. 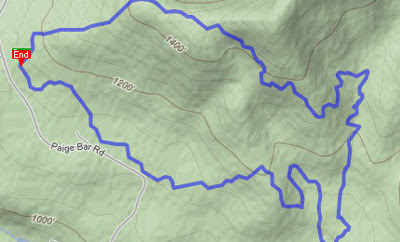 The site has hundreds of trail maps and GPS waypoints for mountain bikers to search for a trail near by. Riders can also track their own favourite rides using Google Maps. If you find a ride you like from WhereWeRide's database you can then download a KML file to view it in Google Earth or download the GPX to import the trail into a GPS device. myGeoDiary is another database of user created tracks and trails. With myGeoDiary users can record and search GPS tracks by date, location or activity. User created tracks can be enhanced with photos, video and commentary. Once a track has been created users can then publish the Google Map of the trail on any social network or web site.